Tianna the Traveller is available for variety, corporate, and cabaret bookings. 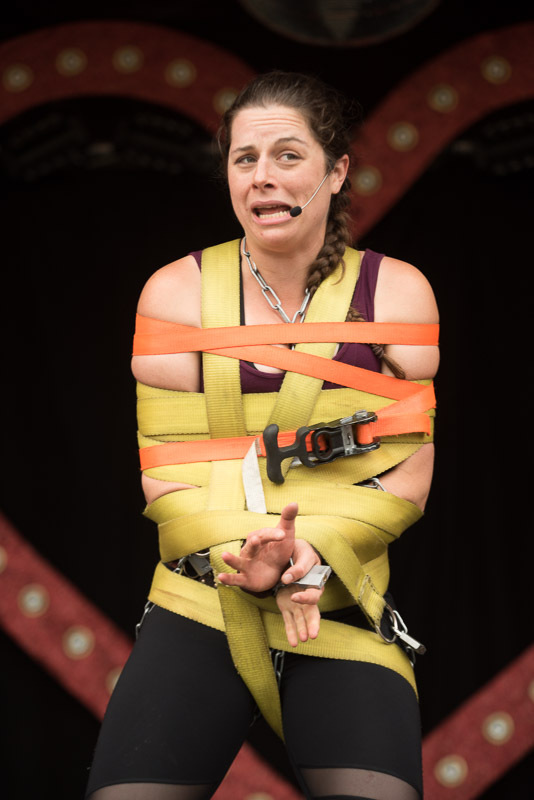 With a selection of 10 -60 minute shows including whip cracking, various escapes, extraordinary stunts, and character comedy acts, Tianna is an asset to any event. She's also a great MC! Contact Tianna to discuss your event.